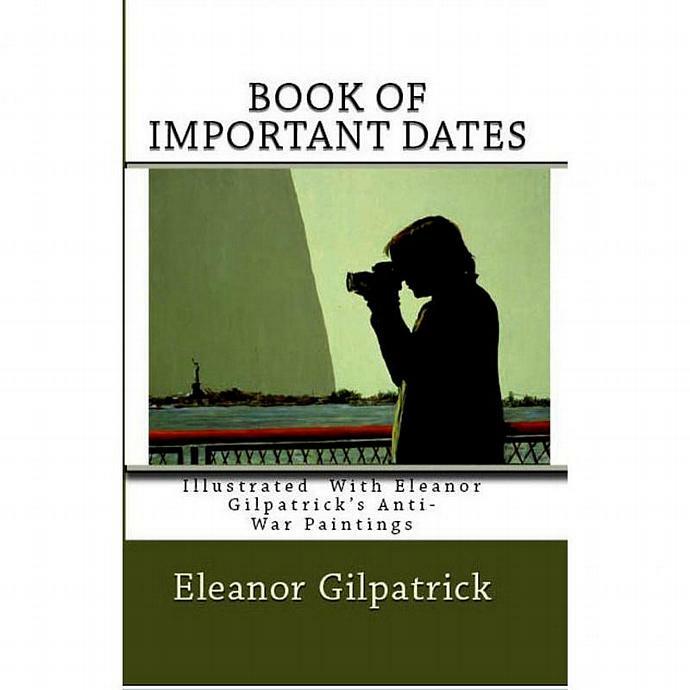 ON SALE: The (First) Book of Important Dates is a permanent calendar/book; it is a 40-page paperback, illustrated with my anti-war paintings. Every month has a page with the picture of one of my anti-war paintings and its description and two pages listing the dates of the month, with room to fill in the information for any particular date. 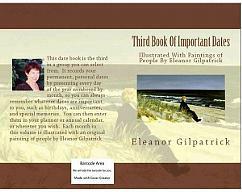 This is the first of a series of permanent, personal calendars illustrated with my paintings. 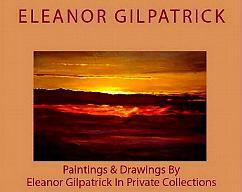 It offers images of my artwork in an inexpensive form. Makes a great gift! (ISBN-13: 978-1442147430 (CreateSpace-Assigned) ISBN-10: 1442147431 BISAC: Art / Art & Politics). 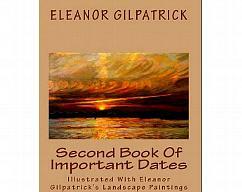 The second calendar book is illustrated with my landscape paintings. The third has my paintings of people, and the fourth has my abstract, still life, and nebula paintings. Each calendar/book is 8.5 inches tall by 5.5 inches wide, printed as a Perfect Bound, trade paperback. The cover is 10 pt paper, in full color, on cover stock, finished with a protective laminate coating. The book's paper is 24# smooth white finish. 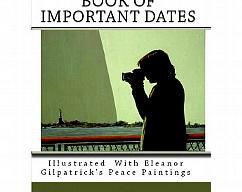 The other available calendar books can be seen on this website. See the images of the front and back covers, a sample image page, and one of the two date pages for a month. I can inscribe the book with a brief message and my signature. 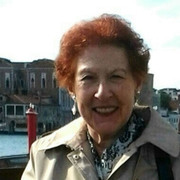 Just write to me when you check out.